Your machines are speaking to you, but can you hear them? Unfortunately, not always. With the current log analytics model, it is difficult to extract important information from your logs since machines produce so much data, that it is practically impossible to filter through the noise and isolate the data that matters. To add to the frustration, as your business grows, your machines produce even more data that lacks relevancy. Yet, you pay through the roof to store such data despite the fact that most of it will not be used. If this sounds familiar, you are not alone. This is why we are shaking up the industry with some great new features and pushing forward with the completion of a new funding round to keep the innovation coming. Creating technology that allows our customers to obtain maximum value from machine data is our core mission. 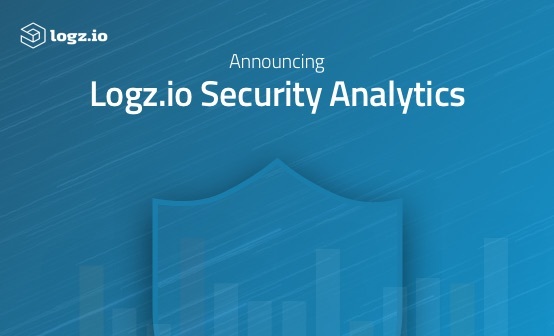 As such, we are excited to announce our completion of $23 million series C funding which we received to drive even more innovation in our technology and disrupt the outdated business model common in the log analytics industry. As part of this initiative we are thrilled to unveil our newest features, Application Insights and Data Optimizer to solve two of the biggest frustrations in this space: Quick, insightful incident detection and lack of flexible retention plans that deliver value. 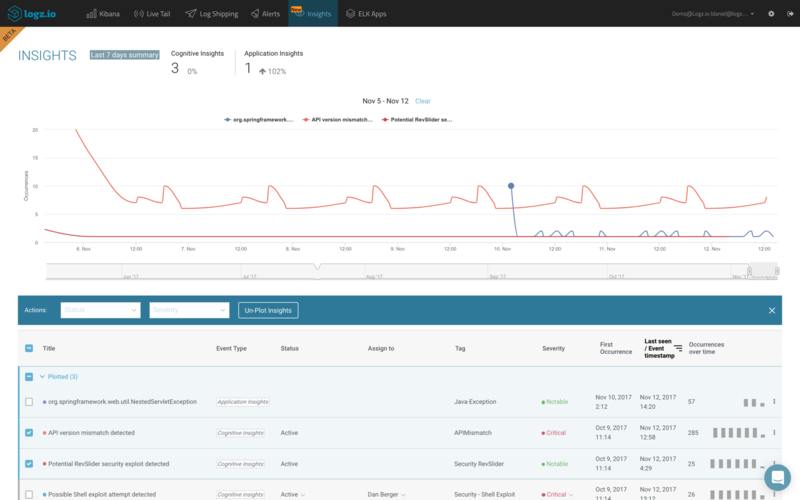 Application Insights uses machine learning to create and maintain a model of normal operations which it then uses to isolate new exceptions and critical errors that don’t fit the model and highlights these events for further investigation. 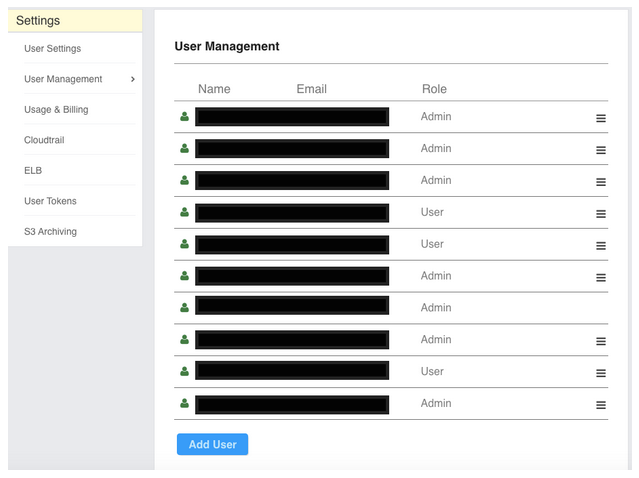 Application Insights also integrates with CI/CD to put new exceptions and error messages in the context of changes to the environment such as a microservice deployment. 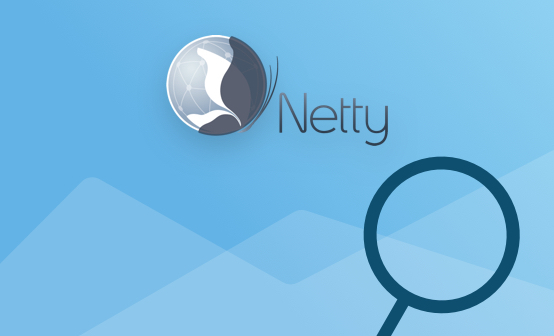 This powerful capability will help you to sift through the noise in your logging infrastructure so you can easily connect the dots and create a full, contextual story of what is occurring within your system. For example, let’s say that your customers complain about a bug in your system. The first questions being asked internally is: “Who touched something? Who changed something in production?”. Logz.io answers this question by connecting to CI/CD systems and marking every change to the application or infrastructure within the Logz.io platform. It then identifies and highlights the unique exceptions that occurred over a period of time. In the above example, Logz.io might tell you, that since your last change, there are now three new unique exceptions which haven’t happened previously. Each of these three may have thousands of occurrences, but Application Insights allows you to view only the core unique exceptions rather than sift through each and every occurrence. 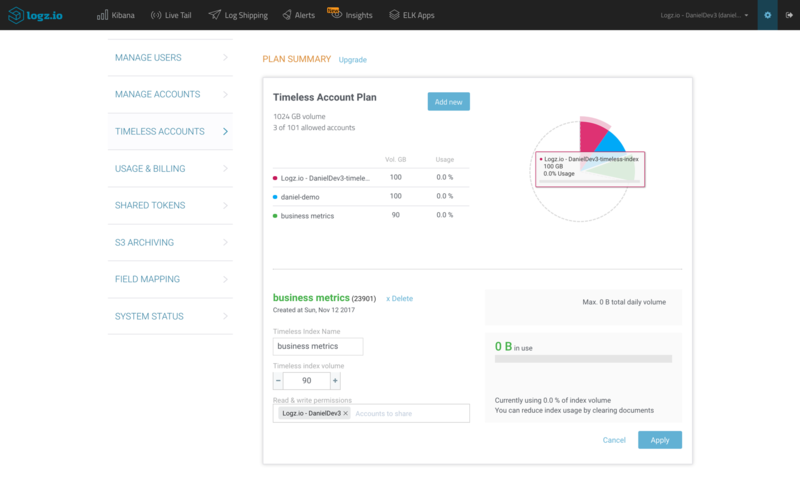 With our new Data Optimizer feature, we are challenging the current business models of most popular logging platforms by giving customers the flexibility to choose which data should be retained, for which retention periods it should be retained for, and at what granularity. Instead of keeping all your data for months at a time, the Data Optimizer continuously scans your data, eliminates noise and summarizes important logs, thus reducing your data to a fraction of its original size. For example, let’s say that you’re sending a log every time a user opens a certain web page. You’ll probably want to have these 10,000 events a minute available for 14 days; however, after that period of time, you might want to use this data to see trends and run analysis on usage etc. With the Data Optimizer, you can set up rules which will summarize these 10,000 events into a single summary event to dramatically reduce the noise level and cost of data retention. We are excited to unveil these new features at AWS re:Invent as well as in a comprehensive webinar on December 6. As we further explore machine learning technology, we will continue to apply its transformative capabilities to logging, enabling us to further enhance, re-define, and perfect our current intelligent technology. Our newest funding will enable us to continue developing and producing features that take logging and cloud operations to the next level while empowering customers to derive maximum value from their data. We look forward to seeing what the future has in store. Want To Find Out More About Our New Features?